Great day! 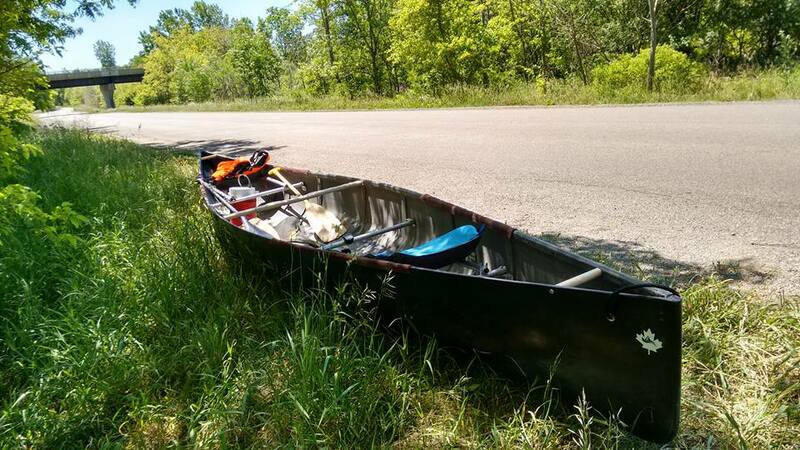 We had previously paddled the Grand River last year between Paris and Brantford, it was a windy day so we decided to hit it again and check out another section. 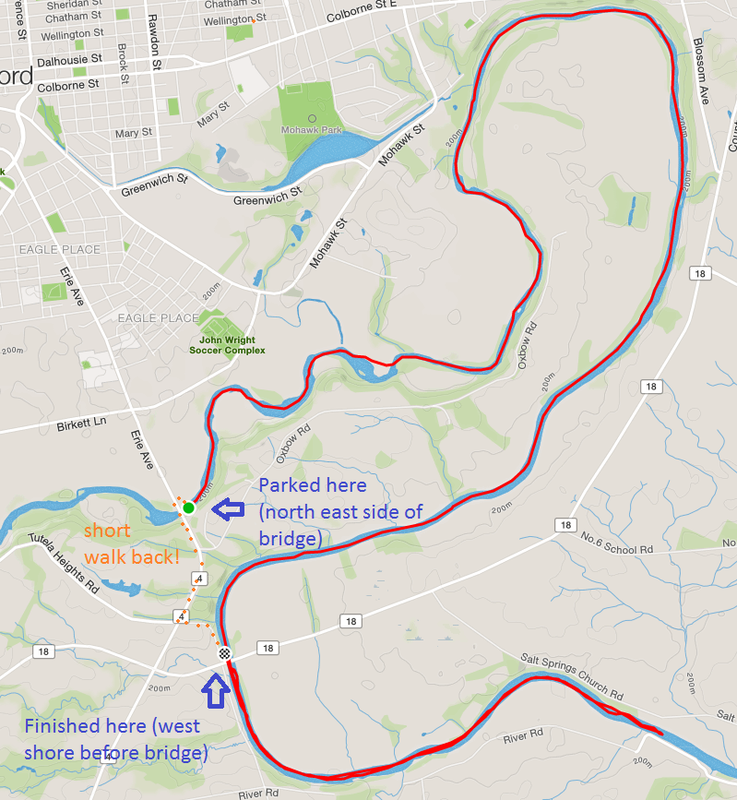 The neat thing about the Oxbow is you can do a 14km downstream paddle, and end up only about 1km from were you started! See the map below. If you only have one vehicle this helps with some of the logistics of paddling downstream and ending up dozens of kilometers from your start point! We parked on the north east side of the Erie Avenue bridge over the Grand River in Brantford (see the map below). There is a rocky but accessible put-in area. 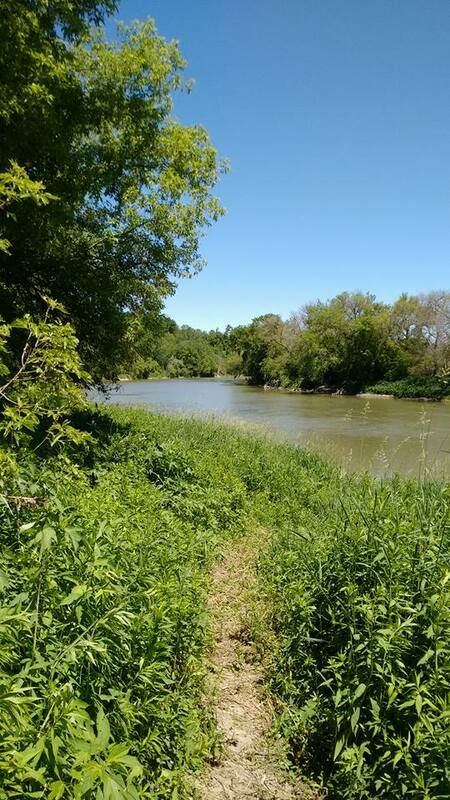 The water starts out with a reasonably strong current, with a few pretty quick parts - but nothing compared to what the Grand River offers upstream. This is a good route for paddling, not resting - the current slows right down shortly after that. Most of the route was easy paddling, secluded and quiet. Just a nice paddle, you don't have to think too much after the first few kilometers. I didn't really see any points of interest worth calling out, just some turtles, herons, and quiet time. If that sounds like your bag, check out the Oxbow! 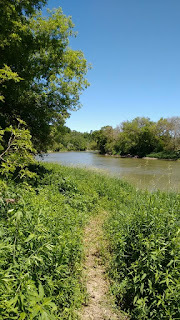 If you want mild rapids, faster water, head further upstream on the Grand... (see my report about the Cambridge to Brantford via Paris section). We had read other reports that said not to try paddle upstream due to the current - it probably depends when you go, and how good of a paddler you are. Those first few kilometers of Oxbow would be really tough, if not impossible. But the rest had a slow enough current it's possible. If you're thinking of paddling up back to Erie Ave, you're probably out of luck. We tested it before we committed to it, and found we could go up into a headwind in the current at about 5-6km/h - not fast, but we're just out for a workout. So we went a little further downstream (4km) and back upstream (for a total of 8km of bonus). Here is the map from our trip. 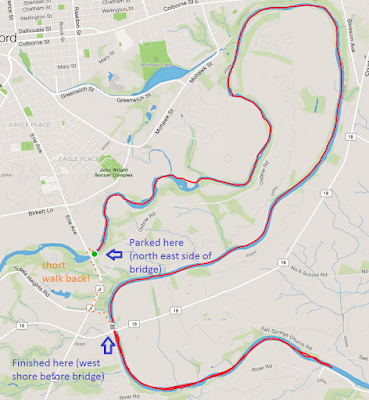 From green dot to checkered flag are the Oxbow part of it, about 14.5km. The rest is our bonus down-and-up adventure we did just for fun. Click to Enlarge! It's worth it I promise. Finally, after all the paddling, our poor boat waited by the side of the road for my friend to take the "short walk" back to get the car. He didn't think it was as "short", and muttered something about a hill. I didn't catch it, was still a bit groggy from my short nap.